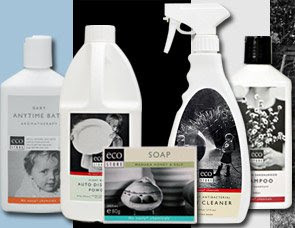 Ecostore is an extension of a 20 year old New Zealand company http://www.ecostore.co.nz/ that makes plant and mineral based, Household Cleaning, Baby and Personal Care Products that contain No Nasty Chemicals(tm). Now more than ever they believe that the voice of the Mom Blogger relative to the health of her family and the planet coincide with the Ecostore mission. Their eco friendly, plant-based household cleaning products are as effective as the leading supermarket brands, and their body and baby care ranges are gentle on your skin and are simply beautiful to use. The pet care products let you spoil your pets with our nourishing, rich blends of ingredients and show them how much you care by reducing their exposure to unhealthy chemicals. All products are made from plant- and mineral-based ingredients, free of toxic chemicals that bring people closer to nature with non-toxic, environmentally safe solutions that also help to reduce our carbon footprint. I tried the Ecostore Vanilla Shampoo & Conditioner for dry/damaged hair. My hair is not really dry, but during the summer chlorine & ponytails kind of do a number on it. Seriously, when I was little, my hair used to turn green every summer from swimming. I loved the shampoo & while you do have to leave the conditioner on for a few minutes (or at least I did with my tangley hair) it's well worth the wait. My hair feels softer & not so heavy. After using the shampoo & conditioner, I think that maybe my straight as a board hair might even hold some curl for longer than 10 minutes! And I kid you not, I think my hair looks blonder!!! Currently an e-commerce site, Ecostore USA always offers free shipping on orders $25 and over. Ecostore has an exclusive partnership with Meijer, and their product line can be found in all 185 stores. Ecostore has partnered with Semi-Slacker Mom to offer a $25 Gift Certificate from Ecostore USA. *To enter, check out their website & tell me what stores & products you would like to see their line in. *Post this giveaway on your blog. Please leave a comment for each entry because I use Random.org. Hurry & enter because contest ends on Saturday, June 20th. I going to the BEACH! 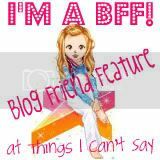 and of course I follow this fabulous bloggity blog! and because it's fun to see my name posting over and over again im also adding this fab giveaway to my bloglist! Count me in! I am a follower and I love shampoo! Count me in. I am already a follower. Love & blessings from NC! I'm back one more time! I would like to see these products at Target! My home away from home. LOL! Have a wonderful time at the beach. We had a great time when we went in early June!! Love & blessings from NC! I would love to see their products at Walmart and Sam's Club! And I would love to see more various types of household cleaners (indoors/outdoors). I have tried their hair care line as well and I love it.